4 Hands Brewing Company, located in the LaSalle Park neighborhood, will provide the craft beer enthusiast a handcrafted portfolio inspired by the American craft movement that pushes the limits of creativity. They have 6 year round beers , a large variety of seasonal offerings and a barrel aged beer program. In April 2016 they introduced City Wide which is their American Pale Ale where a portion of each purchase is donated quarterly local non-profit. Just recently they extended the brand with City Wide Pils, an American Pilsner, in which a portion of the profits help aid local entrepreneurs with their current endeavors. The brewery has 14 beers on tap and a recently added an upstairs to their tasting room with free video games, skeeball and is available for private events. Tasting room hours are: Monday – Thursday noon-10pm, Friday and Saturday noon-midnight and Sundays noon-9pm. Come check us out! 314.436.1559 – 1220 South Eighth St. 63104. At Llywelyn’s Pubs, we believe that the backbone to any true pub experience is not just the atmosphere and food, but the beers on tap and spirits on shelf. We pride ourselves in only selecting the beers and whiskeys we would drink, and never would sell something to you that we find inferior. We believe a guest educated in beer and whiskey, can not only help other guests to further explore their own tastes, but produce great tales and topics of conversations at the pub. There is no judging at Llywelyn’s Pub, we cater to all types of imbibers. We will gladly help and maybe even guide you to your next drinking experience. We offer at least 26 beers on tap, depending on which one of our seven locations you are visiting and another 40 varieties in bottle. 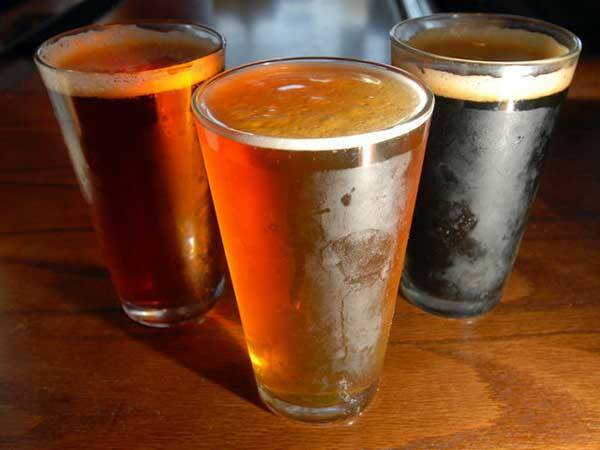 With our extensive Celtic /American menu, you will be sure to pair the perfect sip with the right choice! Not sure of a certain style? Ask for a sample! We only want you to drink what YOU like. Slainte! For more information, you can check us out online at www.llywelynspub.com. Schlafly Bottleworks, 7260 Southwest Ave. The Saint Louis Brewery, makers of Schlafly Beer, are well known for styles like their English Pale Ale, White Lager, IPA and the award-winning, world renowned Schlafly Kolsch. This summer, enjoy some of their most popular seasonal beers including Summer Lager and Raspberry Hefeweizen. Summer Lager is light, crisp and easy-drinking – perfect for mowing lawns, enjoying a patio, or reclining pool-side. Raspberry Hefeweizen is a true fruit beer fermented with real raspberries for a flavor that’s neat and tart, low in bitterness, and full of citrus aromas. In addition to making over 70 unique styles of beer, Schlafly has long been a supporter of all things St. Louis including participation and sponsorship in numerous events and organizations, as well as, being committed to sustainability. Our beers and brewpub menus include many local ingredients while our brewery operates with 100% renewable energy. Support local this summer by enjoying the Schlafly Farmer’s Market, every Wednesday from 4 PM to 7 PM at Schlafly Bottleworks in Maplewood. UCBC is known for both our modern, American craft beers and reverential, European beer styles. Our Grove Brewery & Bierhall (4465 Manchester) and Midtown Brewery & Biergarten (3229 Washington) locations are open 7 days a week. In 2015 we opened our third location in Wolzach, Germany (the first American-owned craft brewery in Germany), and in Fall 2016 we opened The Urban Research Brewery (The U.R.B.) next door to our Grove Bierhall. At UCBC, we strive to be respected for our actions as a business member of the St. Louis community. We like to call these actions ‘Urban Efforts’- intentional measures undertaken by Urban Chestnut to help us to be a better global and local citizen. UCBC works to reduce our carbon footprint by recycling all qualifying materials, composting all biodegradable waste, and donating all of our spent grain to local farmers. Our brewing equipment allows us to reuse water that is normally lost in the brewing process to chill hot wort and to heat up brewing water, which also conserves energy. Finally, at both our St. Louis locations, we feature solar power arrays, large windows to provide natural lighting, and LED lighting to reduce our energy needs. We are proud to say all of these efforts allowed our Grove Brewery & Bierhall to be awarded Missouri’s first and only LEED Certified Brewery! Our Summer Beer Guide will continue in our July and August editions. If you would like to have your brewery, pub or restaurant in the Guide, call 314-962-7748 by June 15. Ask us about our discount rates for this promotion. This entry was posted on Friday, June 1st, 2018 at 12:52 am and is filed under August 2018, July 2018, June 2018. You can follow any responses to this entry through the RSS 2.0 feed. Responses are currently closed, but you can trackback from your own site.